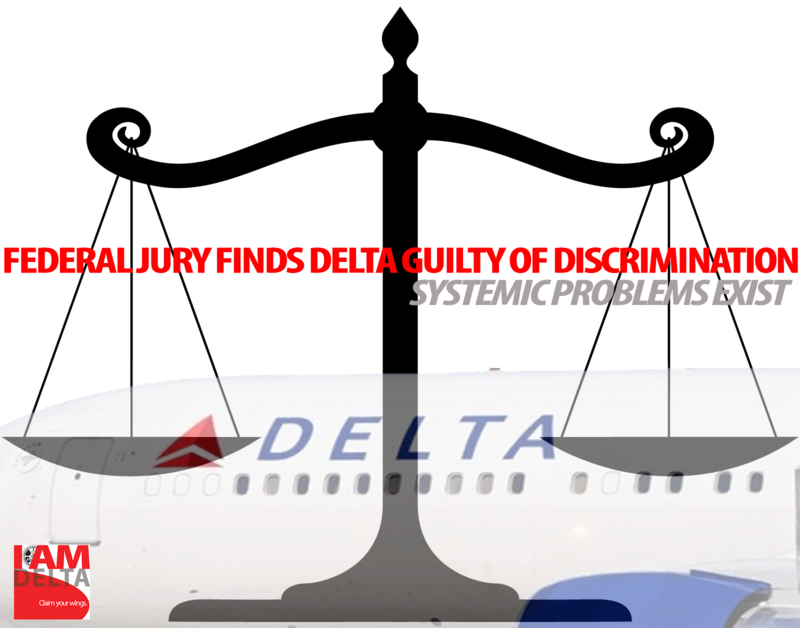 Delta failed to accommodate an employee’s disability, ultimately violating the Americans with Disabilities Act and terminating the employee. The employee was awarded nearly $1m in damages. Our colleague’s suffering and sad victory in federal court could have been avoided. With an IAM contract, peer representatives provide support and a fair appeals process. Delta management is held accountable for its actions, and colleagues are not left alone to fight for the job they love. Although justice has been served for this colleague, countless flight attendants are fired, disciplined, suspended or have their probation extended without proper justification. Each day we report to work without representation, our career could end due to an unsubstantiated complaint, false accusation or other injustice. Sign or request an IAM card today, get the RIGHT TO VOTE and claim your wings.